I love this book for so many reasons, but mostly for the 50 amazing women Michelle DeRusha describes in its pages. This is a wonderful collection of short biographies. DeRusha does a wonderful job giving a brief history of each. This book could easily have been thousands of pages long, as each woman deserves her own full length biography. There are so many women DeRusha writes about that I have never read about or even knew existed. One such woman is Hannah More (1745-1833) who opened a Sunday School in a barn to teach children scripture. She would go on to establish a dozen more in neighboring villages. Interestingly, Hannah was jilted three times at the altar by the same man. Due to the distress he caused her, he paid her an annual annuity which allowed her financial independence. Other women DeRusha includes are more familiar like Mother Teresa, Harriet Beecher Stowe, and Ruth Bell Graham. Their stories are well worth reading. I found them inspiring and encouraging. 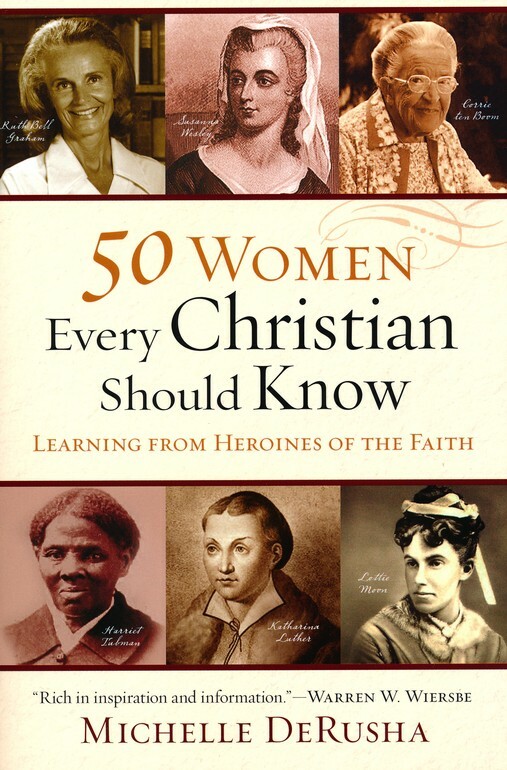 I would recommend this book to anyone to acquaint themselves with the heroines of the Christian Faith. This would be a great book for a book club or to include in curriculum. I was given a complimentary copy of this book by its publisher in exchange for an honest review. I have not been compensated and all opinions are my own.